An improvement of 38% of fine wrinkles reduction after 12 weeks based from K.I.S.S trial, and it's the biggest impact of Kinerase. 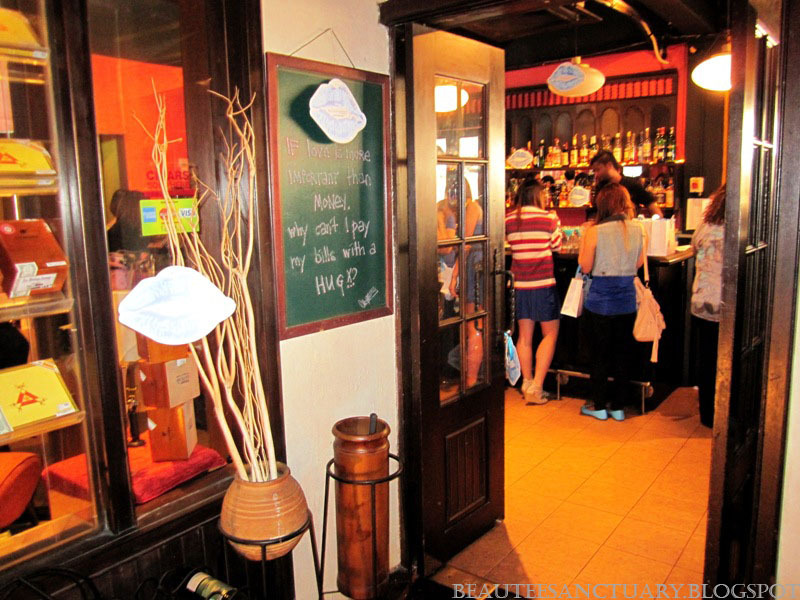 On 21st October 2012, I was invited to attend the launch of Kinerase by K.I.S.S at La Bodega, Bangsar Baru(all thanks to Tammy :)). 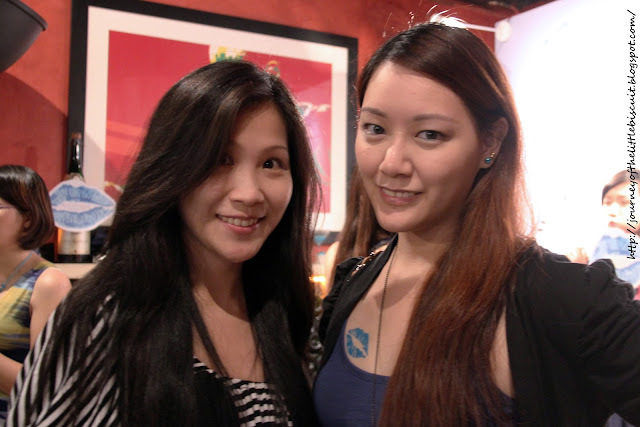 Truth to be told, I did not expect this launch to be so well prepared with interesting small activities such as make up, painted tattoo, creative theme with the drinks and snacks, and more. Not that I look down on K.I.S.S, of course not, just expected a normal launch like other launches. 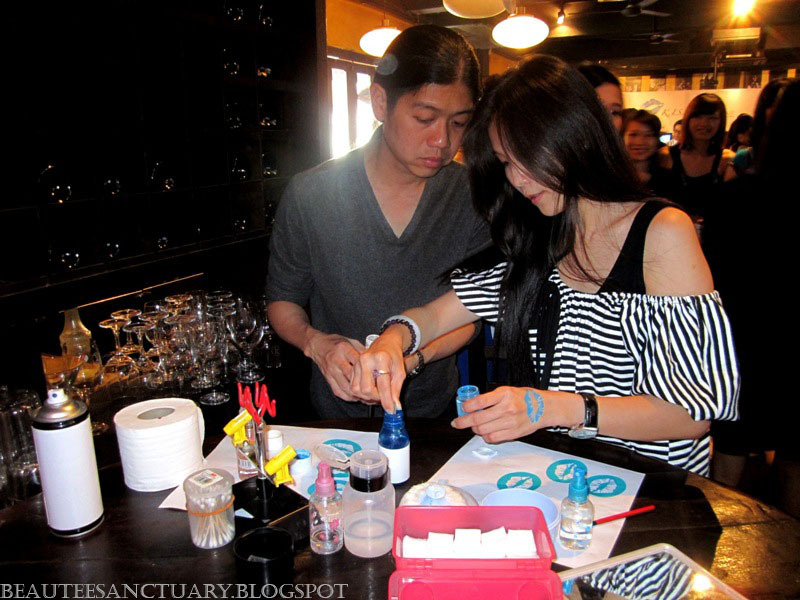 When I arrived the first thing I saw was the registration counter as it was facing the door, the left side was the make-up, tattoo, and photo taking area; the right side was where all the products placed and people were able to test them out along with people assisting them. 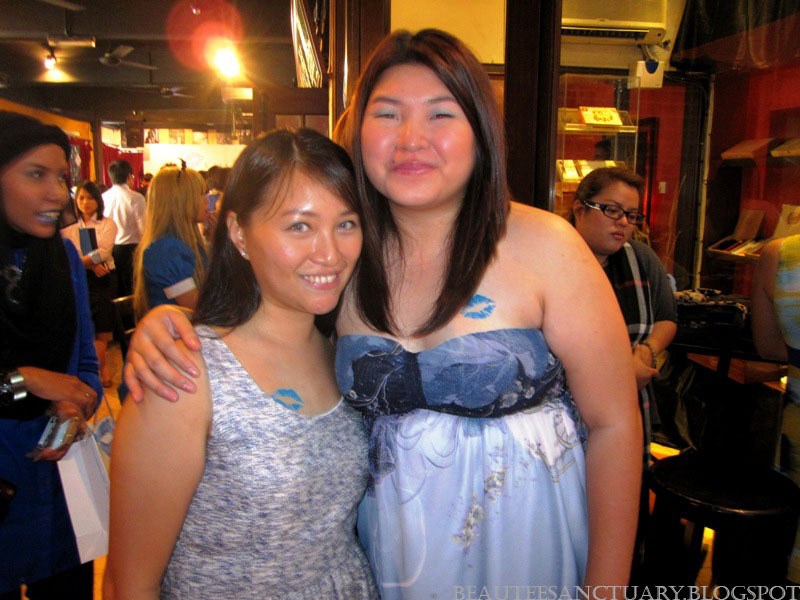 After registration I was assisted to paint my lips blue! There weren't many mirrors around so I had no idea how I looked and just went to into the photo taking session. Later on we were all called to the front for conference where they explained about Kinerase. Kinetin (N6-furfuryladenine) is a naturally-ocurring bio growth factor that was discovered by scientists about 60 years ago. Kinetin is a unique ingredient that have been widely tested in the West and are popular among the women there, however it is not very well known yet in Asia. But I believe Malaysia women are going to love this product. 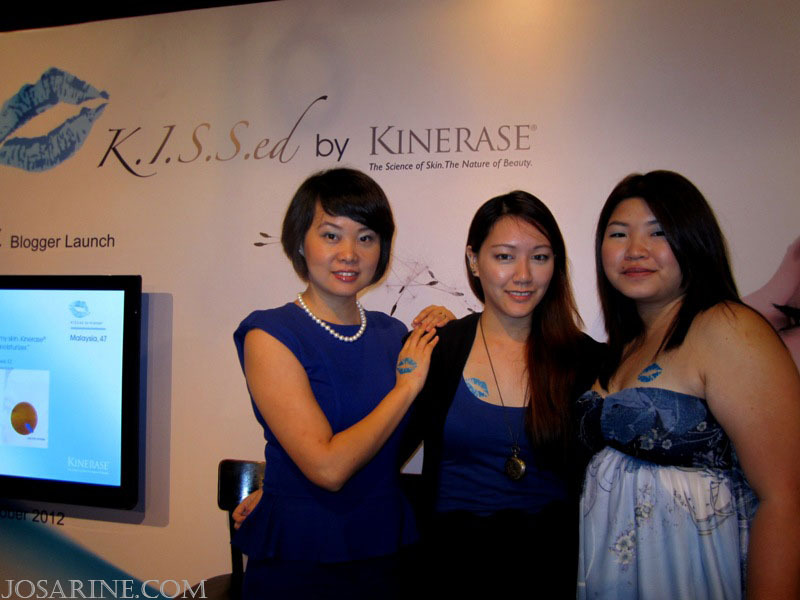 Kinerase's mission is to help women, especially Asian women to realise that there is a way for timelessly beautiful skin. K.I.S.S had a 12 week trial and a total of 275 patients in Hong Kong, Malaysia and Taiwan were assessed by 30 physicians. 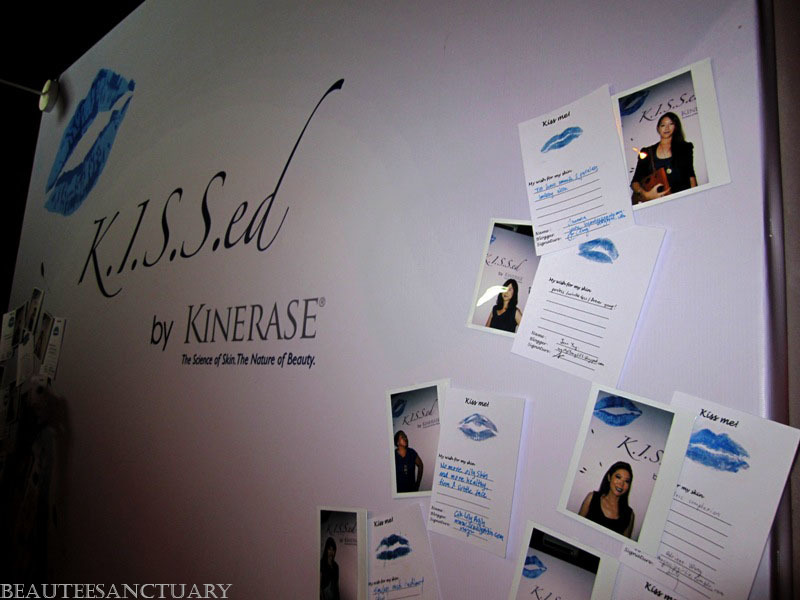 Out of all of the products available, the Kinerase Cream that contains 0.1% kinetin was their priority. It is clear that Kinetin is an anti-aging product. But like the quote states, "prevention is better than cure". 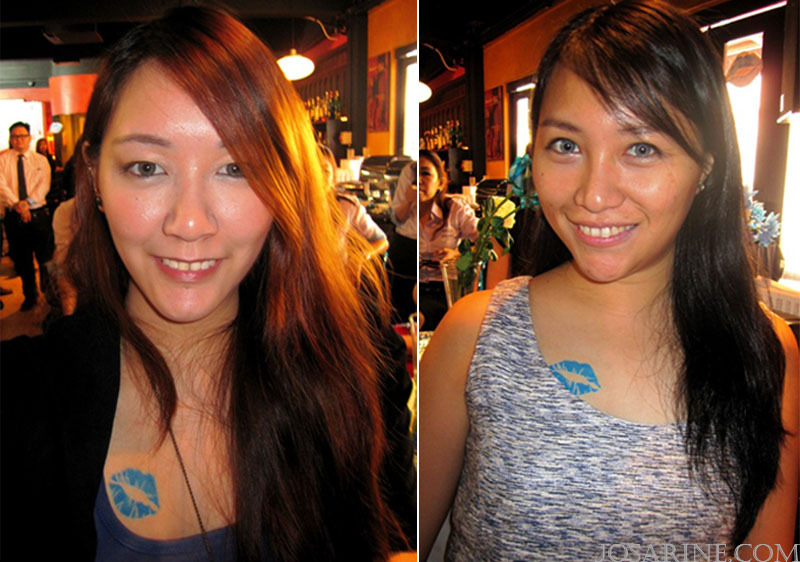 Kinerase is able to help mainly Asian women to maintain our youthful skin for the longest time possible. No doubt that we will all age eventually, but it is not impossible to look 30 when you're 50 years old. Personally, I believe that with regular exercise, healthy food intake and the use of this product, you can maintain the youth of your skin. During the Q & A session, someone asked at what age should we start using anti-aging products? The answer was between the age of 22 to 25 onward. If you discovered this product a little late it's no problem at all. Based on the research and trials I've stated above, it is very highly possible that you can reduce fine lines and look younger than your age. However you will have to maintain with the usage of this product. "While there are numerous international clinical papers on Kinetin, there were no comprehensive study measuring how well Kinetin works on Asian skin. The K.I.S.S trial was an opportunity for us to test the effectiveness of Kinerase Cream which contains 0.1% Kinetin on real patients who are looking for ways to delay and manage the effects of aging on their skin, under strict supervision." "So far the results have been wonderful...With a non-comedogenic, hypoallergenic, fragrance-free, dye-free, and paraben free formula, Kinerase is suitable for all skin types, even skin with rosacea, and nurtures delicate skin after aesthetic procedures." After the conference they announced the winners for best pose, best quote, and best dressed! Best Quote - Rane! Gosh I didn't recognize her till she approached me. She looks so different that day, when I first saw her I thought she was a college student. 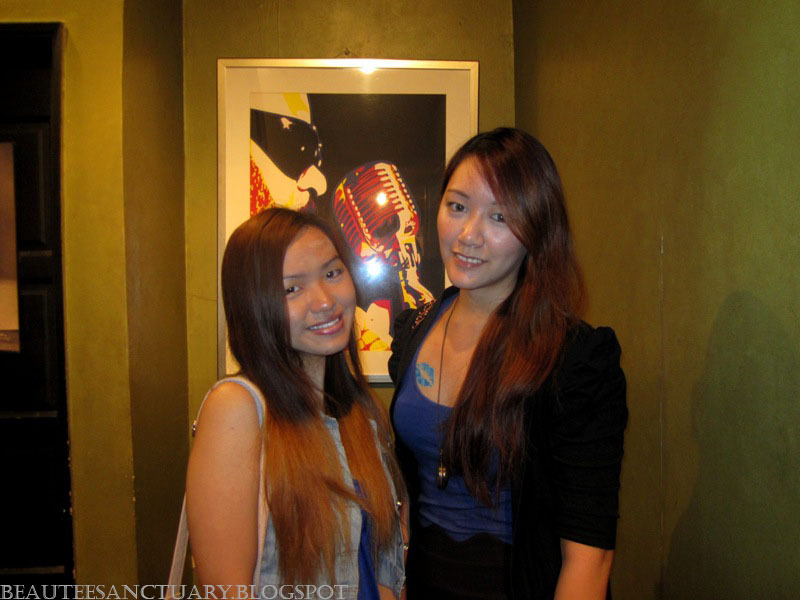 with Tammy, my first time meeting her and she looks gorgeous in that dress. Felt like I was drinking potion. Kinerase is exclusively available at dermatologist and aesthetic clinics. Please visit www.kineraseasia.com.my for more information. I like the color very much !! 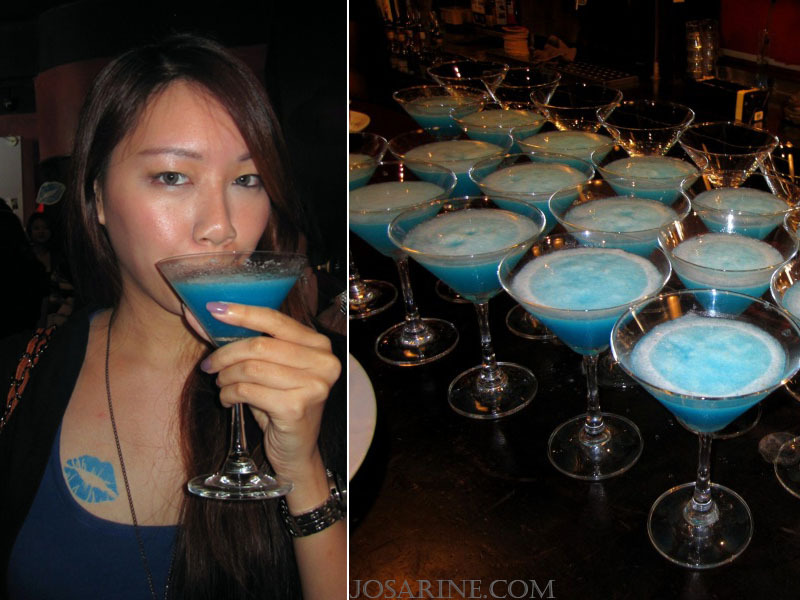 hahaha.. very blueeeee.. Sorry Emily, I accidentally deleted your comment. "Wow!! This looks like a great event. Everything is in blue and the blue lips are sooo cute!"